Yesterday I watched Joel Osteen talk about how our habits affect what kind of people we become. 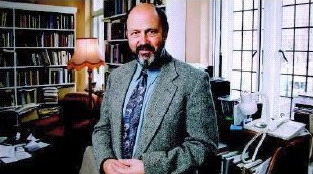 Today I listened to NT Wright talk about the Enlightenment and being for the world what Jesus was for Israel. I understood the smilin’ preacher. Any theology that promises success as a reward for faithfulness and fervent prayer is misleading at best, and it deserves a forceful critique. At the same time I’ve learned not to dismiss ministries, however different from mine, that can lead people to their vocation or to a new sense of God’s love. 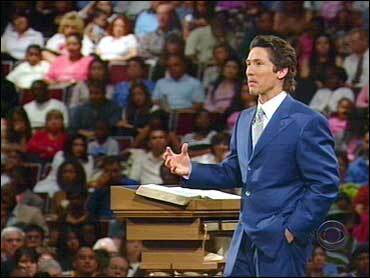 I probably wouldn’t go to Mr. Osteen for an in-depth analysis of 1st century Judaism, or any theological question for that matter; no, for things as deep and important as theological issues I’d consult the kind of leaders that Jesus told the people to listen to – Pharisees, but I do wish to remove my narrow lenses and think deeply and broadly about our complex world and infinite God. For generations the church has been polarized between those who see the main task being the saving of souls for heaven and the nurturing of those souls through the valley of this dark world, on the one hand, and on the other hand those who see the task of improving the lot of human beings and the world, rescuing the poor from their misery. The longer that I’ve gone on as a New Testament scholar and wrestled with what the early Christians were actually talking about, the more it’s been borne in on me that that distinction is one that we modern Westerners bring to the text rather than finding in the text. Because the great emphasis in the New Testament is that the gospel is not how to escape the world; the gospel is that the crucified and risen Jesus is the Lord of the world. And that his death and Resurrection transform the world, and that transformation can happen to you. You, in turn, can be part of the transforming work. Christianity – Not For This World? Our Western culture since the 18th century has made a virtue of separating out religion from real life, or faith from politics.When I lecture about this, people will pop up and say, “Surely Jesus said my kingdom is not of this world.” And the answer is no, what Jesus said in John 18 is, “My kingdom is not from this world.” That’s ek tou kosmoutoutou. It’s quite clear in the text that Jesus’ kingdom doesn’t start with this world. It isn’t a worldly kingdom, but it is for this world. It’s from somewhere else, but it’s for this world. It’s not that we’re better than Jesus, it’s just that he is more spread out now. When he visited us he came to one plot of land, lived, taught, died, and then rose from the dead, all in that one small geographical location. But being the wise and generous friend and brother that he is, he didn’t abandon us when he left; he only abandoned us physically, so that his spirit could actually live inside of us, so that there is not now just one spirit of Jesus living and walking and talking in one body in the land of Israel, but millions of Jesuses (Jesus-i? Jesus-en?) walking and talking in Iraq, Saudi Arabia, Turkey, Romania, Germany, Iceland, the United States, Bolivia, Uruguay, South Africa, Sudan, Chad, Eritrea, China, the Philippines, and hundreds of other countries. Is Jesus going to look the same in Bolivia as he does in the Sudan, or the same in Turkey as he does in the United States? Did Jesus look the same in Southern Europe in the year 50AD as he looked in Israel in the year 28AD? Already, just a short while after Jesus died and sent his spirit to all the believers, we see them teaching the message differently than Jesus, in a way that the people could understand. If Paul yelled at the Southern Europeans for not obeying God’s Torah, they would have had no clue what he was talking about. So he spoke in terms that they could understand. He became “Jesus 50” to them by reading the popular poets of the day. The God who made the world and everything in it is the Lord of heaven and earth and does not live in temples built by hands. The God who made the world and everything in it is the best movie producer there is, and he’s writing and directing a story about a woman who falls in love with the wrong kind of man, all the while another man is pursuing her and letting her know that he would do anything for her, even die for her.